Insane Clown Posse (ICP), one of the best-selling independent groups of all time, has announced the release of their brand new full-length album, Fearless Fred Fury (aka FFF), on February 15th, via their own label, Psychopathic Records. FFF is the fourth Joker’s Card to be released from the second deck. There will be FFF listening parties held on release day (see list below). Local performers will play at these events, and a Psychopathic Records artist or host will be at each event. The admission cost is simply to purchase a FFF album. Fans can buy tickets in advance, then they’ll exchange the ticket for a copy of the record at the event. 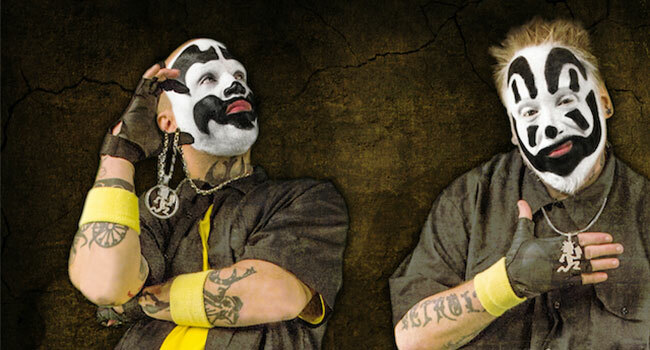 The duo will also announce details for their upcoming Seventh Juggalo Weekend in New Orleans soon as well as Fearless Fred Fury World Tour dates kicking off this spring.